In the remote island home to Webequie First Nation, a nearby mining development poses new hopes and threats for the local community. A new all-season road would bring cheaper access to food and infrastructure, and a mine new job opportunities for this fly-in community. However, many of the 800 here have suffered through years of hardship that has led to poverty and substance abuse, and recognized the need to return to the foundation of their culture, including life on their land. Youth and elders worry that if not managed properly, the mine may bring only short-term solutions, and fail to share its true value. Visiting in both the winter and spring, the film follows the journey of 7-year old Kenisha and 17-year olds Sharmaine and Brennan, students with different backgrounds, facing difficult career choices. While many students move 500km south to Thunder Bay after high school, for education, jobs, or to try out big city life, something keeps bringing them back to their home. The film gives voice to these three youth by juxtaposing intimate interviews with stunning landscape and aerial photography. 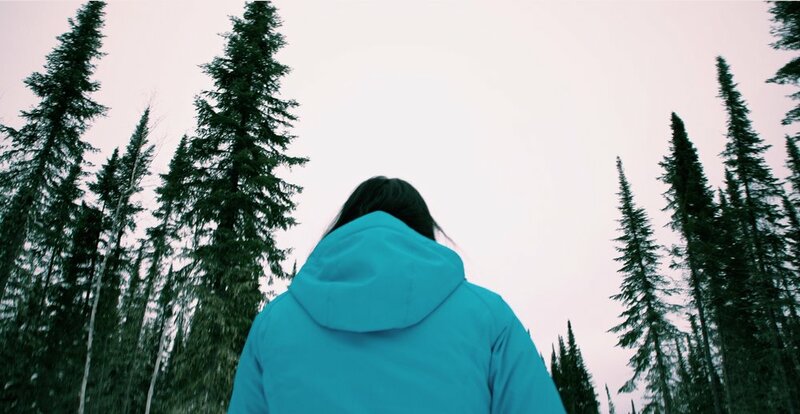 Portraying the challenges of contemporary life on a remote reserve in Canada that is facing imminent development, The Road to Webequie offers stark observations on the efforts of youth and a community trying to overcome their hardships.